When the University of Virginia sought to transform an obsolete corporate office building into a multi-faceted, research center, the university chose Nalls Architecture to lead the effort. The new space will bring together eighty-nine researchers from ten varying disciplines. The design team worked closely with the university and prospective users to create a design that would best meet the needs of each specific research group. 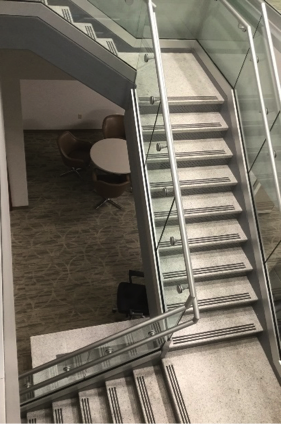 This cross-collaborative research building contains both private and open office spaces, conference and training rooms, and a shared clinical research facility.